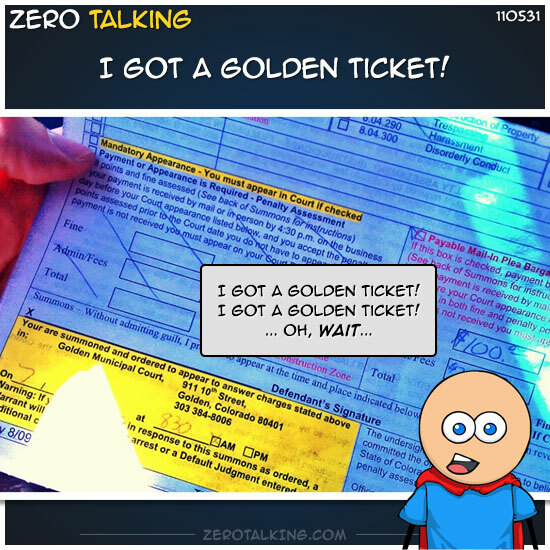 I got a Golden ticket! I got a Golden ticket! … Oh, wait..
Julie McCartney: Zero’s a bad-boy! He’s so dreamy!! <3 <3 !!! Chad Kreutzer: +3 to Zero for trying to fluff the point layout on this thread. Melinda Caroline: I think we’ve already demonstrated that breaking the law is extremely popular… and weirdly attractive.